GamersOrigin ended 2017 strong: our three rosters distinguished themselves in November and of December. Let’s go back on the two last months of GO’s esports club. 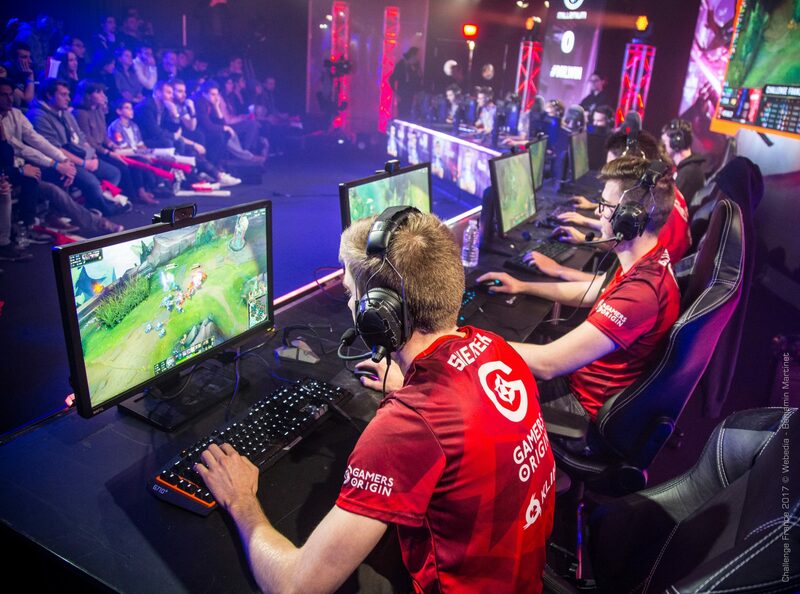 It’s on the shore of Lake Geneva, in Lausanne, that GO’s League of Legends team played its first LAN out of France. After placing first of its group at Challenge France and a winning 3-1 against Millenium in the Underdogs finals, Shemek’s teammates were the favorites for the Bâloise International Gaming Show. They more than lived up to their reputation, qualifying without any difficulties for the finals of the winner bracket on the first day. They also beat Asus Rog 3-0 in the semifinals of Challenge France during the evening and went off to a perfect Saturday. Sunday was time for a double confrontation against Solary, in the winner bracket finals and again in the grand finals. GO won 2-0 and 3-0 (starting the series with a winner-bracket advantage) against the team of Chap and Wakz. Then the players went back to France, at the gaming house, to prepare the last games of the season. The finals of Challenge France were the stage for the battle between the two highest performers of the season : Millenium and GamersOrigin. Unfortunately our boys in red and black couldn’t really threaten a Millenium team at the top of its game. GO was defeated 3-1 in the CF final, but was determined to capitalize on a successful year for the next season. For their first appearance wearing GO’s jersey, the PUBG players took first place at the Tribe esports tournament. While they had only been part of the team for a few days, the former Seeklast players showed up in force. They also qualified for the PUBG online Showdown, a monthly series featuring some of the top teams in the world. Fishou and Un33d went with the LOL players to Switzerland to take part in the Hearthstone tournament organized by IGS. The competition gathered 16 participants through a double elimination bracket in KOTH mode. Despite a defeat 3-0 in his first match, Un33d reached the grand finals eliminating Dizdemon, Felkeine and Maverick among others. Unfortunately he couldn’t complete his reverse sweep with a victory in the finals. He lost his final series to Chatton from team Crowl. On its turf, GamersOrigin made a strong showing at DreamHack Winter in December, honoring a legacy of 2 consecutive victories from the team thanks to Purple and Mitsuhide. Un33d finished in the top 4 last year and reiterated his performance, conceding a single match against Zumpp, who went on to win the whole thing. Fishou and Chinoize were eliminated during the Swiss rounds but both placed honorably in the side-event, respectively reaching top 10 and top 4. 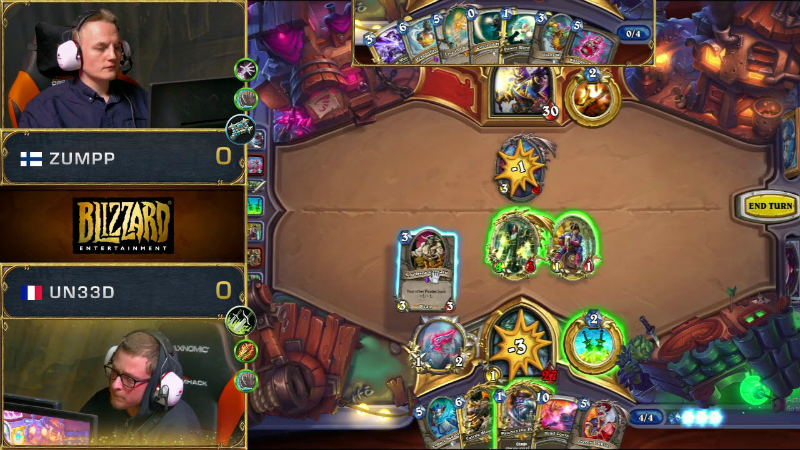 Days after, GamersOrigin hosted the first French tournament following the release of the new expansion, Kobolds and Catacombs. Un33d, double champion, was unfortunately defeated early in the competition, as was Chinoize.